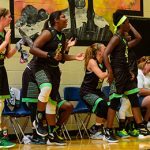 SUGAR HILL, Georgia, – Travel basketball is in full affect this spring. 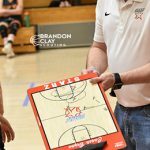 A new slate of teams from across the Southeast converged at Lanier High School to compete in Session II of the PSB Spring Showdown. 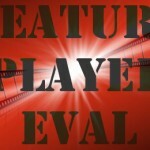 As teams prepare for the NCAA evaluation periods in April and May, our staff begins our annual talent identification for the BrandonClayScouting.com report. 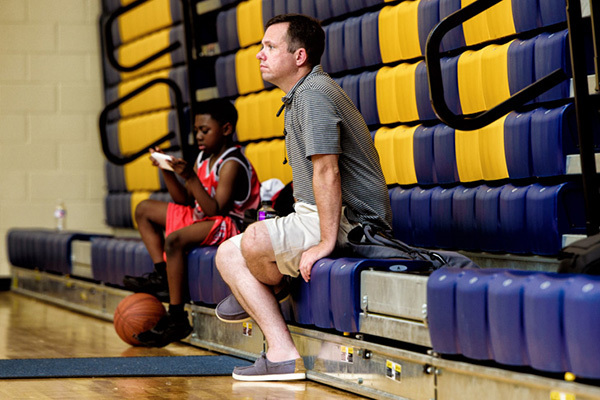 In association with that report we begin inviting standout prospects from our events to our EBA Super 64 National Showcase June 1-2 in the Atlanta area (for more information, click HERE). Below are the standout performers from Friday evening. Hunter showed that she has been in the gym working this spring. She scored double digits with her solid back to the basket footwork. Her free throw release looks refined and polish as well. Expect Hunter to continue on an upward trajectory as she matures. Mullins is a heady guard who makes shots and the right basketball play consistently. 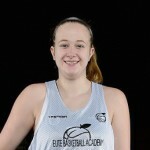 She plays with some savvy and confidence needed to play at a higher level. 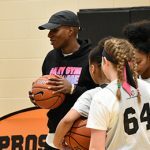 She helped power her team to an opening night win. Bolden got on our radar years ago at the #CoachHemi678 Showcase. Since then Bolden has flourished into a solid playmaker. Her length, size and athleticism will be an intriguing factor for coach Jerry Wright this travel season. Burrows exerted herself on both ends of the court this evening. She got into the passing lanes creating steals. She also hit several shots from long range. Expect to hear more from the 5-foot-8 guard in future evaluations. Sander brought the energy to the court Friday evening. She handled the ball, slashed into the lane and dished to open teammates. Her activity on the defensive end was also key for coach Beverly Kirk’s team. Jones is a point guard who is on the rise as one of the region’s top play-makers. 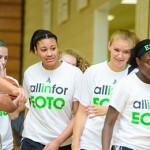 She has picked up interest from a variety of colleges across the Southeast as of late. She heads up the Southern Starz 2020 team and projects to be yet another quality point guard to emerge from coach Doug Bush’s program. Check her highlights from the #CoachHemi334 Showcase in 2017 HERE.